Mountain Climbing is much like travelling, in that it becomes addictive once you have a taste for it, so I am very excited to let you know that we have finally added trekking Expeditions to Mount Aconcagua to our ever-growing ‘Expeditions’ portfolio! A mighty mountain in the Andean Mountain Range, some 112 kilometres from the city of Mendoza in Argentina, Mount Aconcagua is a whopping 6,962metres high, a good 1,000metres higher than Mount Kilimanjaro in Tanzania, making it longer, harder and colder than anything we might have experienced on Kili. 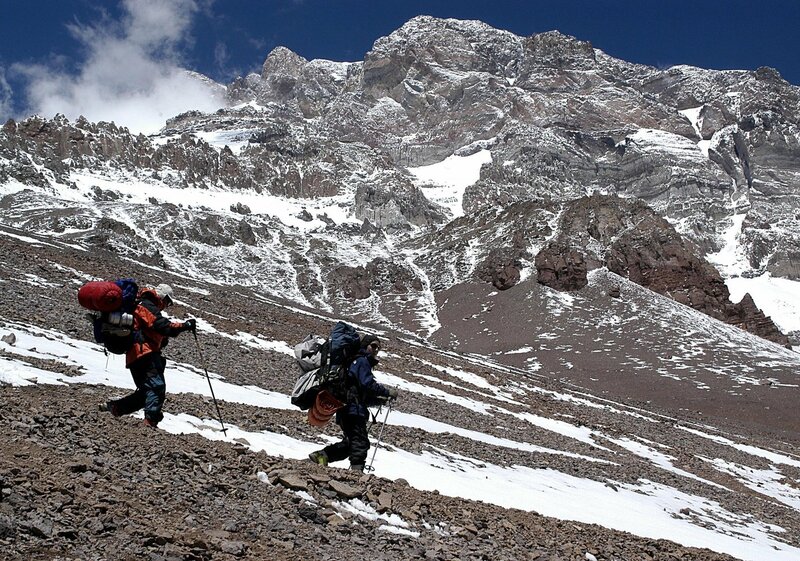 The average Aconcagua Expedition along the ‘Normal Route’ is a 20-day trip, including two nights in Mendoza (one night before the climb and one night after), and two extra days on the mountain for contingencies such as bad weather. With a minimum of two weeks on the mountain, Aconcagua Trekking Expeditions are both mentally and physically demanding, but as with Kilimanjaro, the route is not technically challenging, and providing you are well-trained and well prepared, your ascent should be successful. As all the expeditions, escorted tours, and unique travel experiences in our portfolio are ‘tried and tested’ by us to ensure they are every bit as good as we promise, climbing Mount Aconcagua is on our own travel itinerary for January 2016, so we would love to hear from any of you who have conquered it already! Climbing Mount Kilimanjaro was no walk in the park, but it was worth every sleepless night, every hour of training, and every slow step on summit night… and I for one cannot wait to find out what Aconcagua has in store for us!